Is the Bible infallible as some churches claim? Is it a historical document or a piece of literature, as scholars suggest? This helpful new book offers a brief introduction to the question of biblical authority, using essays by sixteen scholars who use the Bible as the word of God in their own religious tradition and scholarship. 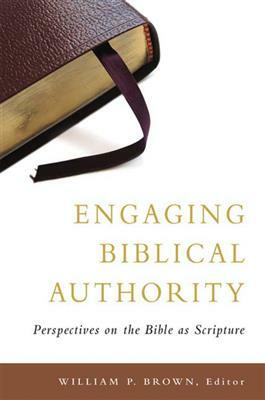 After William Brown introduces the basic issues of biblical authority, each scholar presents a different, but sympathetic, view from his or her own perspective. Included are traditional Reformed, Lutheran, Wesleyan, Catholic, Jewish, and Orthodox views; recent conservative and evangelical positions; and critical African American, Asian American, Hispanic, feminist, and womanist perspectives.